We call ourselves The Peoples Church because we embrace all the peoples of world. We are messengers of the Gospel in our multicultural city of Toronto and internationally. 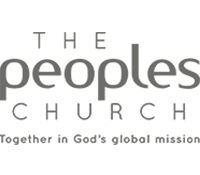 Here at Peoples, we are blessed by a diversity of nationalities represented in our congregation, so there is a very good chance you will meet others here who share your cultural heritage. And you will find this a colourful place to meet peoples from many walks of life.